Jeroen is currently working for his own company, performing advanced network research and development for a variety of international customers amongst which Internet Systems Consortium (ISC), Defence Advanced Research Agency's (DARPA), National Cyber-Forensics & Training Alliance (NCFTA), SRI International and Farsight Security. The prime product is Mesyx which provides secure group communications. 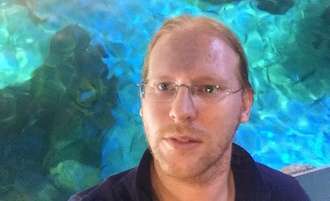 Topics of work for Jeroen include computer security and networking (DNS, IPv6, anonymity, Internet censorship, monitoring and routing), virtualisation and distributed large scale storage technologies. Before starting his own company he worked at the Thoraxcenter of the Erasmus Medical Center and then the IBM Zurich Research Laboratory. At IBM Research he worked in the field of Network Performance Profiling where he created the AURORA system for high performance NetFlow and IPFIX analysis. He also designed and implemented the Performance Center component of the IBM SAN Volume Controller / IBM Storwize V7000 Scale Out Network Attached Storage (SoNAS) systems. Jeroen is part of the Ops-Trust Sysadmin Team where he aids in maintaining the cluster of servers for the main instance and implements new features to help the Operational Security community better do their jobs. One other major task is the development of the Mesyx powered Trident secure portal used by the community. Before the sunset of the project, Jeroen led the SixXS Tunnel Broker & IPv6 Deployment project, which was an 18-year spare time project that provided free IPv6 connectivity to an average of 50.000 daily active users globally. In this project he developed and deployed the heartbeat, TIC and AYIYA protocols which are supported by the worldwide SixXS PoPs and the AICCU tool. AICCU enables IPv6 connectivity to users without hassle, it being in most important Open Source Operating System distributions and available for a myriad of platforms. To ensure that SixXS users can actually properly use IPv6 he also created the Ghost Route Hunter (GRH) project that monitors IPv6 BGP and over the years helped in debugging IPv6 routing issues. Jeroen tries to keep up with the IETF and IRTF communities participating in IPv6 and routing related working-groups. He also promotes adoption of IPv6 and has added IPv6 support to various tools such as PuTTY, Tor¹ and fping. His homepage with presentations and publications can be found at https://jeroen.massar.ch.